The new environmental regulations, such as Ballast Water Management Convention and the 2020 Sulphur Cap, which set to make great changes in the shipping industry, are expected to impact the ship repair market as well. 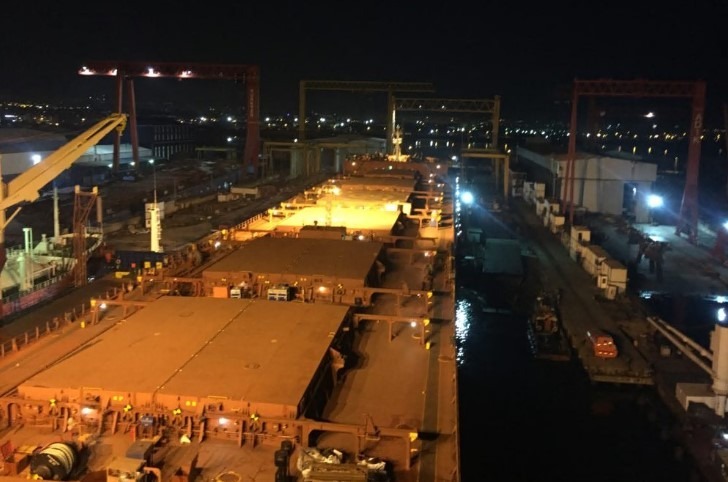 Newport Shipping Group, a UK-registered drydocking services provider, which switched its focus from commercial ship management to drydocking services over the past two years, believes that the greatest impacts to yards would be visible in 2019 and 2020. Erol Sarikaya, CEO Newport Shipping, in an interview with World Maritime News said that today represents the lull before the storm. Compliance with new regulations means vessels will require more days at a yard during their repair/retrofit, which combined with many owners deferring these costly decisions will increase the risk of backlogs and added days off-hire at shipyards in the years to come,” according to Sarikaya. Newport Shipping, which operates a global network of 5 yards with 13 drydocks capable of servicing 1,000 drydockings annually, recently added ship repair financing to its portfolio. This initiative would provide shipowners with an ability to stagger up to 60 pct of their drydocking payments into 12 or more monthly installments. Sarikaya explained that the main benefit the company offers is the ability to keep the majority cash otherwise earmarked for maintenance costs within the hands of shipowners. Speaking about the yards’ key growth area today, he said that the possibility lies in retrofits as these require a higher degree of planning and coordination between shipowner, shipyard and maker towards minimizing offhire time. “Today, shipowners and technical managers are increasingly forced to do more with less. At Newport we are doing our part to work with shipowners in solving their needs whether that’s on procurement, ensuring yard slot availability for emergency needs, or providing owners with industry leading deferred payment terms to help owners see through the current weak market. Our vision is to build a global and comprehensive ship repair service directly addressing the most pressing needs of the modern shipowner,” Sarikaya said. Newport Shipping is exhibiting at this year’s Posidonia event in Greece. “We are delighted to have representatives from our yards, suppliers and specialist work teams who will join us as well, further demonstrating the value of established partnerships in providing a leading comprehensive service,” Sarikaya concluded.